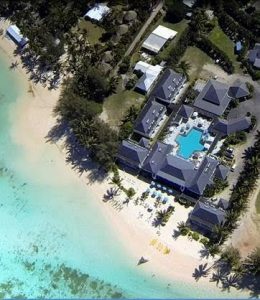 Muri Beach Club Hotel, Cook Islands premier adult’s only beachfront oasis was recently bestowed with the converted Destination Wedding Planner of the year award at the 2016 Air New Zealand Tourism Awards in the Cook Islands. 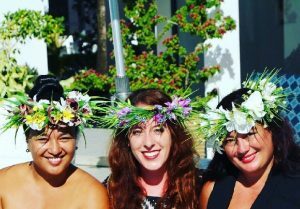 The Hotel’s enviable location coupled with a highly experienced and professional Wedding team have set the benchmark for Weddings in the Cook Islands. The Muri Beach Club Hotel Wedding Department is a passionate team, driven by the motto ‘location, innovation and dedication’, the aim to be more personable, accessible, flexible and accountable. General Manager Liana Scott reports, “The Hotel has seen a steady increase in nuptials over the years and we are proud to play an important part in many international and local couples journey to marital bliss. As a team we have made a personal effort to keep a finger on trend and challenge ourselves to deliver tailored bespoke experiences for our bridal parties. The award is testament to our team’s hard work and welcomed gesture of appreciation and trust from our treasured industry partners.